The book was originally published in 1931 in German. It was one of the series of tracts issued under the name of Beitrage Zur Konjunkturforschung by the Austrian Institute for Trade Cycle Research of which F.A. Hayek was the director. The book made its appearance not very long after the stock market crash of 1929 and the latter event had a strong bearing on its subject matter. 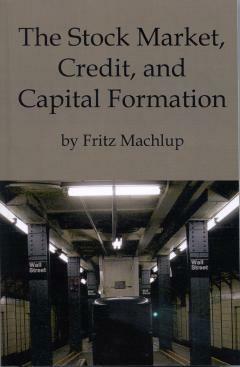 Fritz Machlup is a champion of the stock exchange and the book solidly refutes most of the charges that are commonly made against it. The most serious of such charges is that the stock exchange absorbs capital either permanently or temporarily and thus deprives the industries of capital. 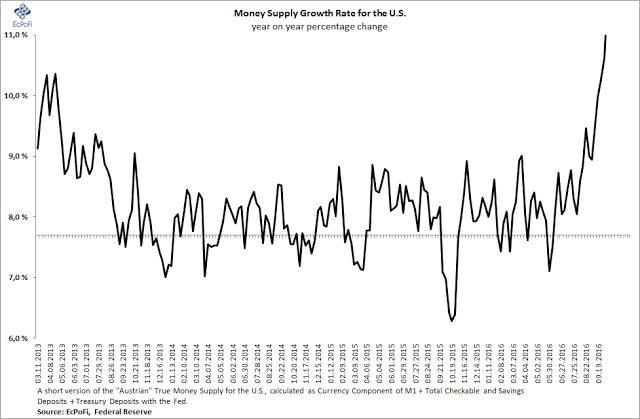 Machlup answers this charge by pointing out that there may be a permanent absorption of money capital only where this absorption is productive, i.e., where it leads to the formation of new real capital. When new issues are sold in the Stock market, the proceeds of the sale are utilized in the purchase of machinery and other forms of capital goods. In all other cases of security transactions which do not involve any new issues of securities, there is a mere transfer of funds from one person to another. B receives what A pays. The proceeds of the sale of securities by a speculator who withdraws from the stock market flow back into the economic system. Even when there is a chain of security transactions before anybody withdraws from the stock market, the chance of a temporary “tying up” of funds is greatly reduced by the Clearing House method of offsetting mutual indebtedness among the brokers and jobbers. The settlement procedure adopted by the stock exchange members renders any considerable use of money unnecessary. The private speculator who is not a member of the stock exchange may not avail himself of clearing facilities and the payments between brokers and private speculators may require cash or bank deposits. But even this difficulty is greatly removed by the extensive use by private speculators of what is called “brokerage deposits”. A private speculator who sells securities may leave the sale proceeds on account with his broker until he buys other securities. The broker will not usually maintain idle balances but is more likely to use them to grant loans to other private speculators who want to buy securities. Customers keep on selling and buying and their accounts with brokers perform the function of money. The balances held by Stockbrokers on behalf of their customers are called “brokerage deposits”. They constitute a special type of medium of exchange and are much used in the security transactions between the regular customers and brokers. It is only in the event of an excess of customers’ withdrawals of balances over new deposits that payment by check is necessary. But even that is unlikely to take place except when a large number of outside speculators who are not regular customers of brokers enter the speculative market. This only happens in times of credit inflation by banks through an “easy money” policy. There may be a temporary tying up of funds in a chain of security transactions only when a large volume of such transactions are carried out with cash or check payments, and that is rendered possible through credit inflation by banks. The blame for temporary “tying up” is therefore on the inflationist policy of banks rather than on stock exchange. 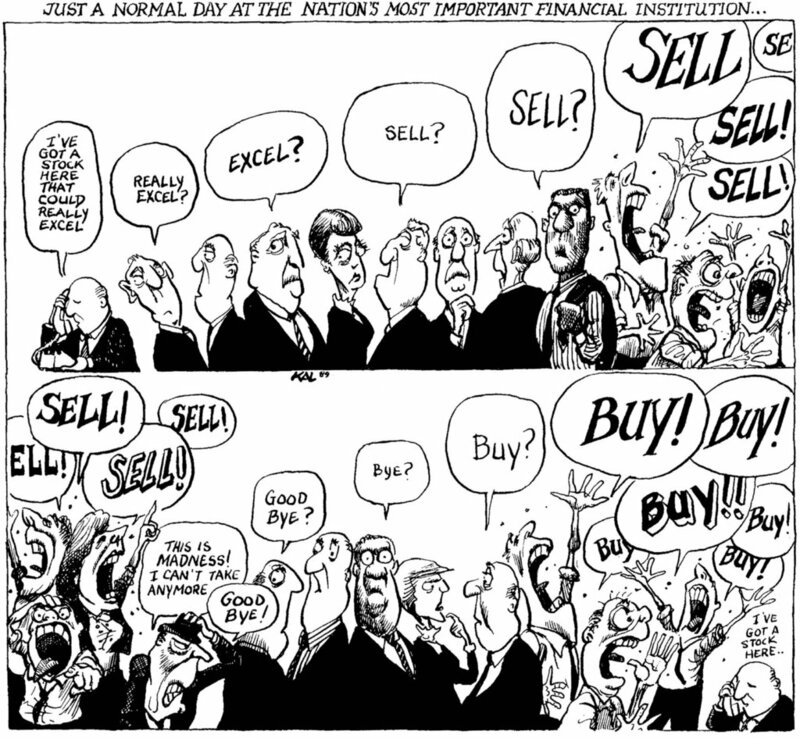 A second charge against the stock exchange is that speculation is at the root of business cycles. The charge is based on three grounds. It is said that speculation causes mal-investment and overinvestment. Secondly, it causes credit inflation and lastly it makes credit dear. The author refutes each of these allegations and concludes that it is not speculation per se but credit inflation which causes all these disturbances both in the capital market and in the money market. There is nothing inherently wrong in fluctuations in prices of securities. They may be due to changed expectations of returns and transactions may be carried on both in a rising or a falling market without any fresh funds being brought into the stock market. It is only when inflationary credit is placed at the disposal of speculators that new issues of securities are floated at random and funds are absorbed in investments which are unsatisfactory. Inflationary credit whether given direct to industries or to the stock exchange from which it flows into industries causes disproportionalities in the production structure. (To learn more see: skousen-structure-production). More funds are invested in the purchase of fixed capital and in roundabout processes than is justified by the savings of society. When the flow of inflationary credit ultimately dries up, the fixed capital becomes unremunerative and is either worked at a loss or has to be scrapped. It cannot be said that financing of industry through the stock exchange causes any greater malinvestment or overinvestment than financing of industry direct. The effect of inflationary credit is the same in both cases. As for stock exchange speculation causing inflation the author argues that one must blame the elastic supply of credit by the banking system rather than the increased demand for funds by speculators in a rising security market. Unless there is a latent capacity and willingness on the part of bankers to extend more credit, the demand of speculators alone cannot cause inflation. If the banks are prevented from inflating credit through regulation of reserves, discount policy, etc., then stock exchange speculation can do no harm. Nor is stock exchange speculation to blame for making credit dear. The stock exchange is only a convenient means of attracting capital for long term investment. Higher security prices mean a lower rate of interest and hence cheaper capital for industry. It is not the stock market which competes with industry for funds. It is industrial long term credit which competes with industrial short term credit. As a result of higher security prices, in the absence of any inflationary credit, the long term rates fall and short term rates raise which close the usual gap between the two rates and thus exert an equilibrating influence. It is only when credit is inflationary that short term rates may go above the long term rate and the complaint about “dear money” is heard. In short Machlup reveals inflationary credit as the underlying cause for all those disturbances for which blame is usually laid on the stock market. The book is exhaustive with regard to the field it seeks to cover. It bears every mark of patient research and painstaking reasoning. It is with great delight that the Mises Institute has brought it back into print. So why do we lose?